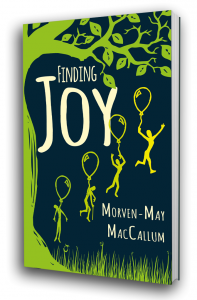 I’m delighted to say that my debut novel ‘Finding Joy’ was released on the 31st of May 2017. Joyce is only sixteen when she’s torn from the life she loves. Two-years pass, but Joyce, her family, and her best friend Logan, are no closer to learning what’s causing her dizzying array of symptoms. As Joyce tries to come to terms with her increasing limitations those around her struggle to understand what she is going through. Baffled and unsure, the Doctors eventually diagnose Joyce with ME and CFS. But when Joyce and her family refuse to accept this diagnosis, her mental stability is called into question. Desperate for the truth and scared for Joyce’s life, their only hope lies in a private hospital where she is diagnosed with Lyme disease. Can Joyce survive a treatment as brutal as her illness? Can she find her way in a world she no longer recognises?